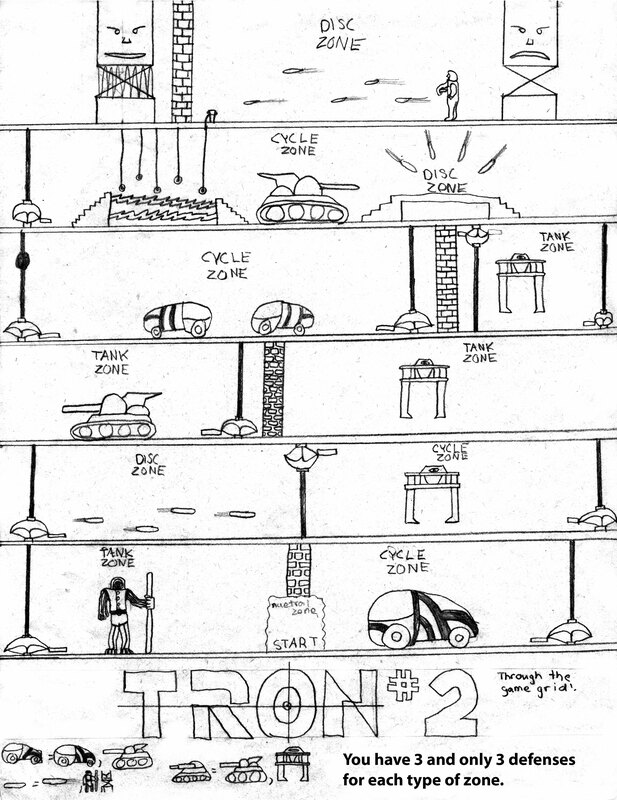 Concept: Original Game Tron © 1982 Bally Midway - STAFF: Designed and programmed by John Pasierb, Bill Adams, George Gomez, Atish Ghosh, Earl Vickers, and Tom Leon. Motion Picture Tron © 1981 Walt Disney Productions This derivative artwork displayed in tribute and under Fair Use. Tron, it appears, can also be translated to a side-scrolling "maze" in this sequel (Tron 1 was part of Volume 1). The different zone defenses work much like rock, paper, scissors.